This is really one of those winter offseason posts meant to humor you more than anything else. One of those that is a lot like this one. But the above shows you what Johnny Cueto is up to. 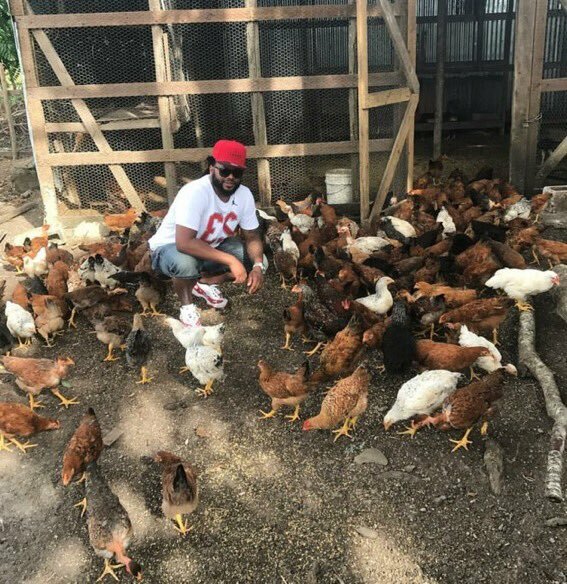 He’s tending to his flock of chickens. Props to my friend Nick for sending this over, and props to me for sitting down and getting it on the blog. It deserves to be here. As an aside: Johnny Cueto was abhorrent in 2017. If he would have been decent, he would be like these other pitchers on the Free Agent market right now, somewhat subpar guys like Yu Darvish who are portraying themselves as stoppers and aces. But Cueto went 8-8 with a 4.52 ERA in 25 starts and struggled with arm troubles. So he decided to tend to his chickens and stay put safely in San Francisco. It’s probable that his best, sterling, magical years as one of the most feared guys in the game are behind him. We’re almost sure that prime Cueto is never coming back through the doors. From 2011 to 2016, there wasn’t a guy in the game who was much more enjoyable to watch on the mound. We’ll always be fond of Johnny for those great years in Cincinnati of course. And the time we were hungover at a bachelor party downtown and ordering a street meat sandwich after a game and we saw him come rolling by in his sports car, with the speakers bumping. But for now, we all have our flock to attend to. Spring is a ways away.